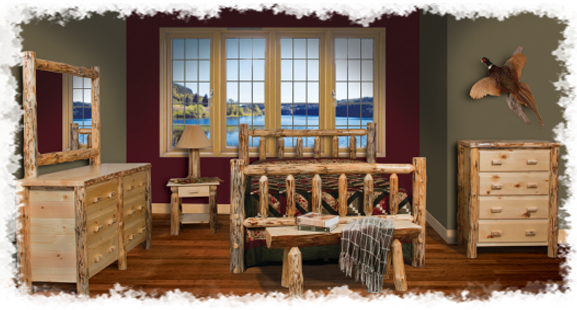 Black Creek rustic log furniture is made in the USA and will last for years. Featuring solid mortise and tenon joinery and available with a hand-scraped finish in either pine or cedar, this furniture is as beautiful as it is solid. 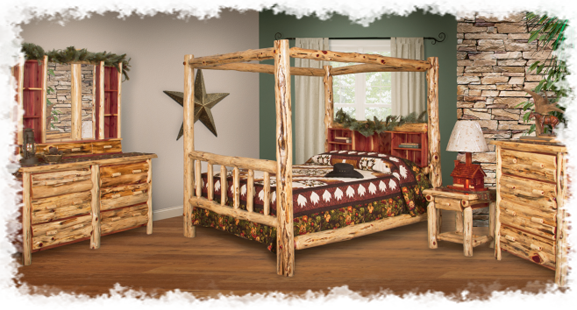 Many styles of beds, dressers, tables, chairs, and outdoor furniture are available. We will even custom build a piece to your specifications. Building your own deck or porch? We also sell the log railings like we use on our cabins. Contact Black Creek for details for pricing.